The big story of SIA this year in women’s hardgoods was that nothing really changed at all, with one notable exception: the addition of more specialized powder sticks for the ladies. As snowboard companies geared up for winter 2016/17, they evidently stumbled upon a shocking new piece of information: women like to ride powder. And not only do they enjoy riding fresh tracks and deep snow—they actually want to float in it. 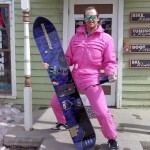 For the past several seasons, there was a plethora of apparently magical “all-mountain” board options meant to take you from waist deep powder to park. 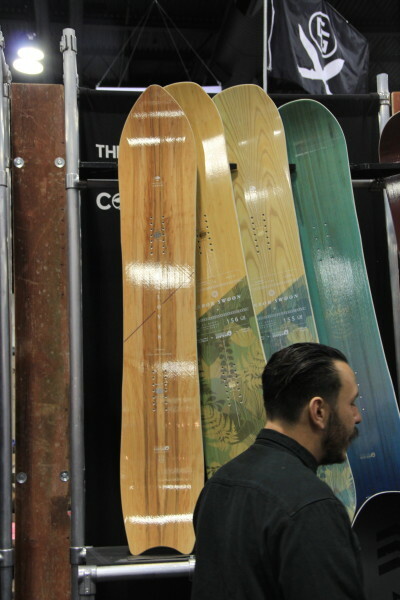 But for winter ‘17 there will be a several new full blown powder sticks to get your hands on, with everything from tapered directional designs and setback distances, to fat noses and swallow tails. Ladies, the surf is on. The ladies Hellcat is featured on the left. 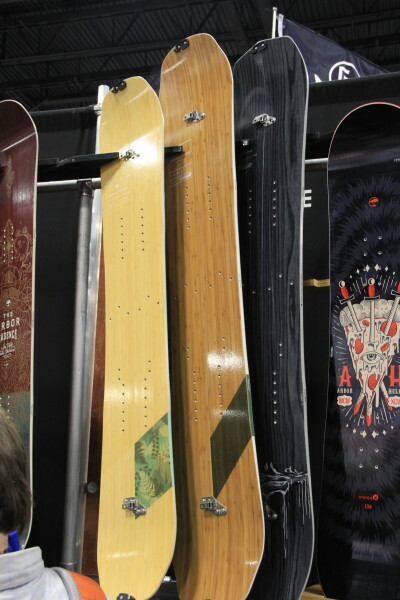 Ride Snowboards re-worked the Hellcat from an all-mountain twin into a directional tapered board with more power in the tail. Now a go to for powder slayer Hana Beaman. The Wildheart sitting pretty in the middle of the line. With a sizeable width and a tapered directional shape, the new revamped K2 Wildheart allows you to size down and still stay afloat. A nice addition to their Northern Lite ladies split. The band is back together with Venture. 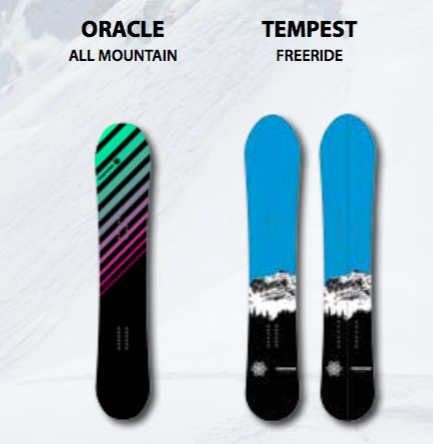 all-mountain stick, and the pow-dedicated Tempest that comes in a split or regular option. Oh look a unique powder shape for ladies with the Clovis. 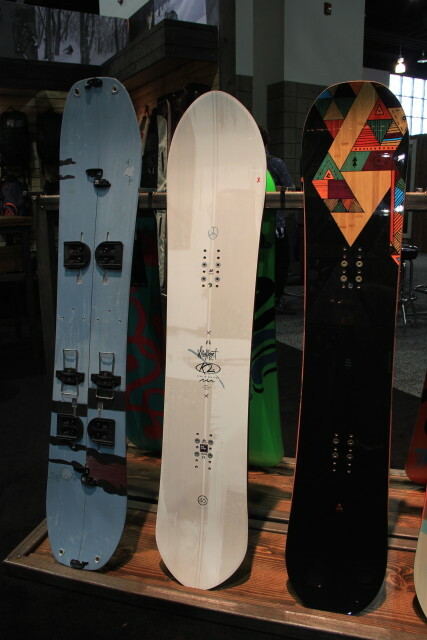 The Swoon split will have you swooning for the backcountry. Arbor’s women’s lineup was dominated by mountain twins, but this year they added a women’s version of the new Clovis, tailored for big mountain lines and deep snow. They also got into the women’s spiltboard game with a split option for the Swoon. Senior Women’s Editor seen here smiling over the new Wonderland from Rome. 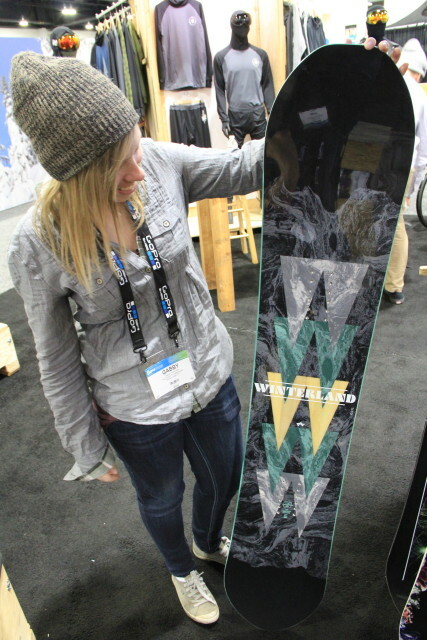 With an affordable women’s splitboard in the lineup already, Rome also added Winterland. 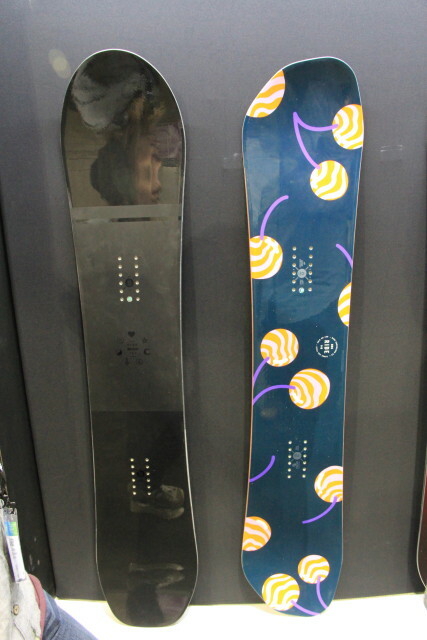 A directional board with camber in the back and rocker in the nose for charging hard in powder. Needed to have a female touch! Pretty sure Gabby touched a lot of female things. Bought the winterland for this season any of you gals get the chance to ride at any of the board tests? Cheers!